Looks like Galaxy Note 5 will be coming to us much sooner than expected. According to Korean media reports, both Galaxy Note 5 and Galaxy S6 Edge Plus are going to be unveiled on the same date, which will definitely give Apple something to think about when the tech giant starts rolling out its iPhone 6s duo. That’s not all. The flagship phablet is also going to be available to purchase just nine days after it gets officially launched. That’s right folks; Galaxy Note 5 will be available to purchase from August 21, so start saving up as much as you can, otherwise you will not be able to experience the next level of performance from a mobile computing device. According to the latest reports, Samsung’s Galaxy Note 5 is going to feature 4 GB of LPDDR4 RAM coupled with an Exynos 7422 SoC. While we know that Galaxy Note 5 will be launching alongside Galaxy S6 Edge Plus, it can be considered to be a very risky move on the company’s part since the launching of both handsets might end up eating the sales of the other smartphone. After both devices have been officially launched, they will also be accompanied by the official launch of Samsung Pay, which is expected to be branched out to the US market, and then the remainder of the regions. The remaining features that will be present on the phablet sized smartphone will be a 2K display, which is going to be rendered on a 5.67 inch screen size. There were earlier reports stating that Galaxy Note 5 would be incorporated with a 4K display, but thankfully, Samsung does care about the battery life of its handsets. Moving on, the handset is also expected to feature a Type-C USB port, but there are speculations that Galaxy Note 5 will not be featuring a MicroSD slot. Samsung plans on going with the same approach as it did with its Galaxy S6 duo, which is terrible idea in our opinion, since it will most likely effect the overall sales figure for the company. While we already know the availability details, pricing information still elude us, which we are sure will be available at the aforementioned date. 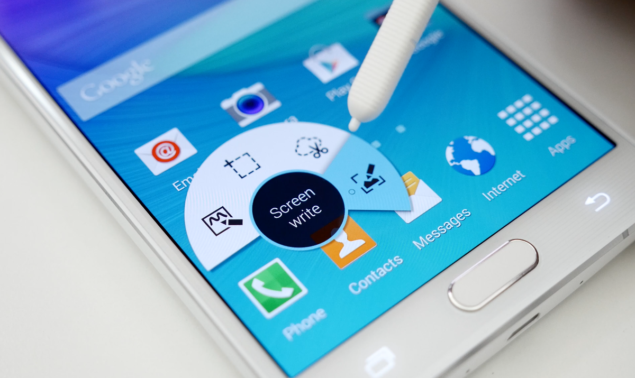 Are you guys excited about the imminent launch of Galaxy Note 5? Tell us right away.